Suzanne's Kitchen : Smoked ham/goat cheese/jalapeno egg cups! 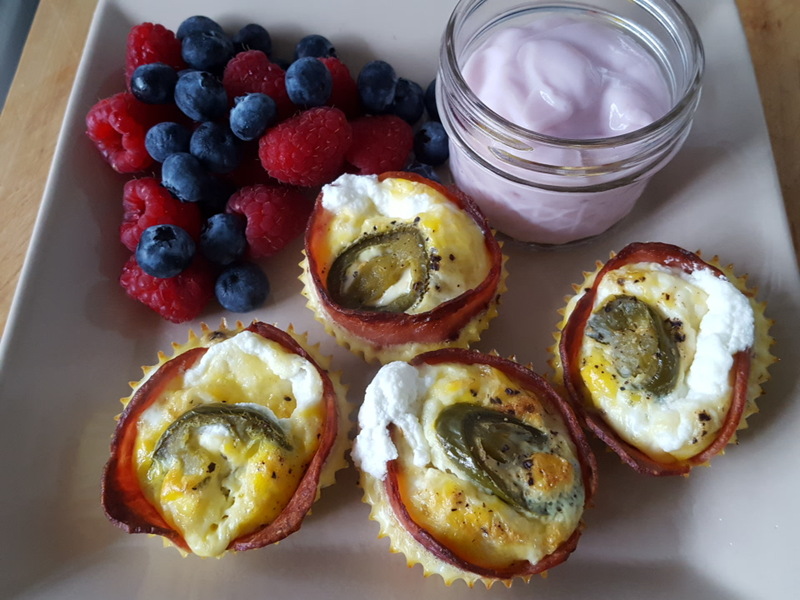 Smoked ham/goat cheese/jalapeno egg cups! Substitute whatever products you have available in your area. You could also use cream cheese which I realized I had none left so I used goat cheese. Put 1/2 tbsp in the middle of each cup. I put this in my toaster oven at 350 for 20 minutes. Simply Filling + 1sp for all 4 egg cups!! LOVE those cups! They are so easy and you can make them in advance!